Having a disability doesn’t mean that you have to stay home. In fact, millions of people with disabilities are travelling the world, not letting their challenges prevent them from seeing the world and enjoying life – and neither should you. Today, there are countless travel companies and organizations that can accommodate any traveller’s needs, even those who have a disability. People in wheelchairs are often easily accommodated, as are people with limited mobility or other issues. While it may take more time and more careful planning than the average traveller, you can still travel and visit the places you have always wanted to see. Plan ahead and do your research: Doing your research well in advance is the key to planning your trip. While there will likely be accessibility challenges on many trips, you can overcome them by taking the time to research alternatives. Make sure your hotel has a room that meets your needs, and make sure your transportation methods can accommodate you. Doing this will limit travel surprises. To be proactive, take some time to read up on what to expect when travelling with disabilities. Learning as much as you can will help you be better prepared to travel. Don’t leave anything to chance: Never make assumptions about the places you will be visiting. Don’t assume they will be wheelchair-accessible or that you will be able to find a place to rent a scooter. Double-check your travel arrangements and call your hotel and other places you plan to visit to make sure, in advance, that they can accommodate you. Get the timing right: Give yourself extra time for transportation. Arrive at the airport early, request assistance if you need it and make sure that you allow for extra time to get around. Have a plan B: The truth is that everything may not go according to plan, and you may not know this until you arrive. This is true for all travellers. To overcome issues when they arise, it’s always a good idea to have a backup plan. For example, if the restaurant you wanted to eat dinner at isn’t wheelchair-accessible, be prepared with a second option. Work with a travel agent: Travel agents are a great resource for anyone, including people with disabilities. While you can do you research online, a travel agent has the industry connections and knowledge to ensure the places you want to visit are realistic and can accommodate your needs. You may even be able to find a travel agent who specializes in trip planning for people with disabilities. Making travel insurance part of your travel plans is important. It not only helps to minimize financial risk, it also gives you peace of mind in knowing you can get travel assistance, no matter where you travel worldwide. 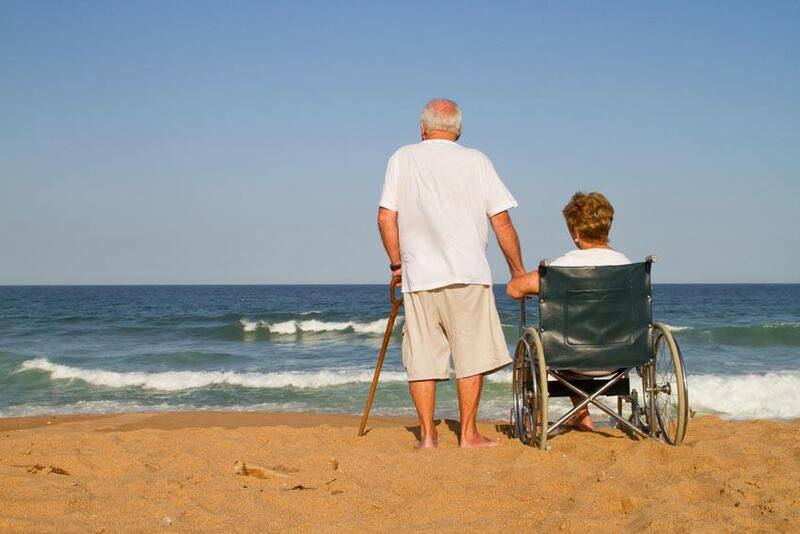 Contact us today to talk about your travel insurance options if you are travelling with a disability.